Saudi Arabia is ready to increase its oil production in response to the expected decline in Iranian crude oil for international markets following President Trump’s withdrawal from the Iran nuclear deal. That’s what an official from the Saudi energy ministry told local state news agency SPA as quoted by Reuters. “Following the U.S. decision to withdraw from the nuclear agreement with Iran, Saudi Arabia is committed to supporting the stability of oil markets for the benefit of producers and consumers and the sustainability of the global economic growth,” the Saudi official said. 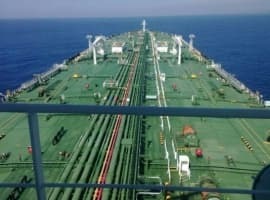 Analysts estimate that, depending on how many countries decide to stop importing Iranian crude to avoid angering Trump, the availability of Iranian crude could fall by anywhere from 300,000 bpd and 1 million bpd. The last time the U.S. imposed sanctions on Tehran, its crude oil exports shrank by a million barrels per day. Whatever sanctions the U.S. decides to impose on Iran, these will take time to effect oil prices. If Saudi Arabia begins expanding its oil production now, this will likely have a weakening effect on prices. The Saudi official who was quoted by Reuters as saying Saudi Arabia is ready to increase its oil production in response to the expected decline in Iranian crude oil for international markets following President Trump’s withdrawal from the Iran nuclear deal, must have jumped the gun. It is a hypothetical statement verging on wishful thinking. There will be no reduction in Iran’s oil production and exports following a re-introduction of US sanctions. And contrary to analysts’ estimates, Iran will not lose a single barrel of oil exports. More than 75% of Iran’s oil exports go to China and the Asia-Pacific region while the remaining 25% go mostly to the European Union (EU). 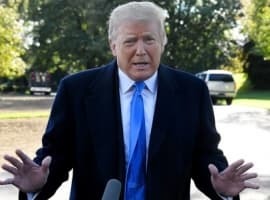 China, India and other Asia-Pacific region countries are not going to comply by US sanctions and reduce their imports of Iranian crude. While Japan and South Korea might comply with US sanctions and shun Iranian crude, this will be more than offset by China, India and other Asia-Pacific countries as well as the European Union (EU) increasing their imports of Iranian crude. The EU is not going to walk away from the Iran nuclear deal and therefore it will not be imposing any sanctions on Iran thus further weakening US sanctions and Iran will be using the petro-yuan and the euro for its oil sales thus bypassing the petrodollar altogether and nullifying the impact of the sanctions.